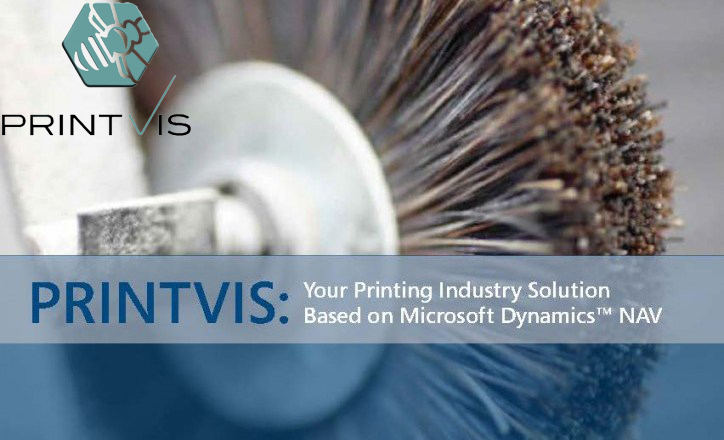 PrintVis is built on, and certified for Microsoft Dynamics NAV (Microsoft Navision). PrintVis will fulfill the most advanced needs for all the tasks and processes in the administration and production of prepress, press and postpress. PrintVis can be adapted to your specific needs. In other words you can handle all stages in your production - from the first quote until the job is printed and delivered to the customer – including invoicing and statistics. PrintVis is JDF-Certified and integrates to all JDF enabled and compatible machines and systems. PrintVis is marketed, sold and implemented globally by a network of highly skilled partners in Europe, North America, The Middle East, Africa, Asia and Australia.